I’m excited to share with you the great news that I have kept under wraps since I had a photoshoot with DFW Style Daily last month. 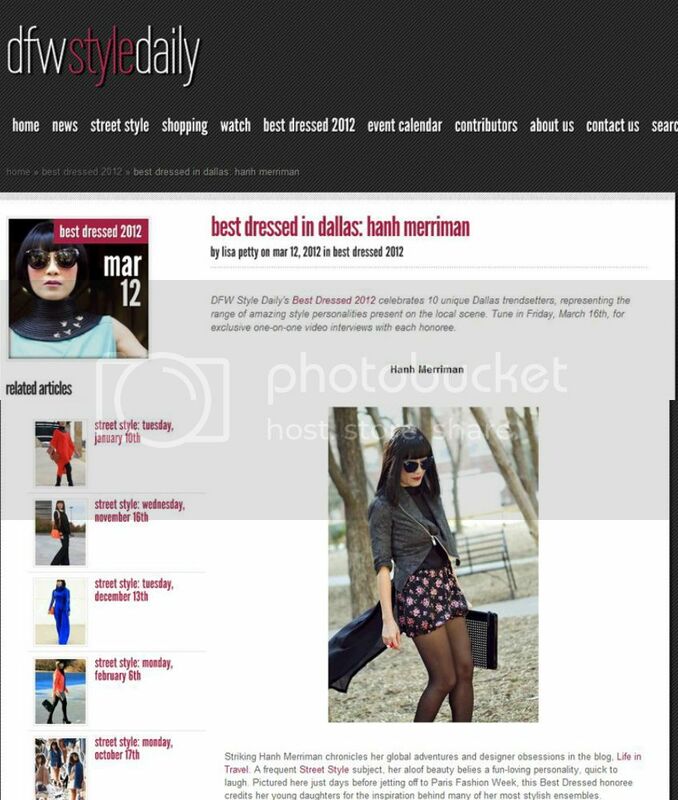 This week, they kicked off their list of Dallas’ “Best Dressed” of 2012 and I’m so honored to be on the list! Please, check out the article here. Make-up by Waylon Tale. All photos, credit Sylvia Elzafon for DFW Style Daily. Thank you DFW Style Daily for this honor!! Love it. You must be the most stylish woman in Dallas, so you deserved to be on the list! I really love the tunic with the Sue Gragg collar. You rock, Hanh! Wow love the mint shirt with the high black necklace …simply wonderful !!! You definitely deserve to be on that list!! Congratulations!! You're an inspiration to all of us. Congratulations Hanh! You are probably one of the most best dressed not just in Dallas but all over the world. ohhhh, how nice is that Hanh?? Congratulations, you are really a fashion inspiration! Wow! styling at its best!! We love your style… cool and strong… Like our titan jewels!